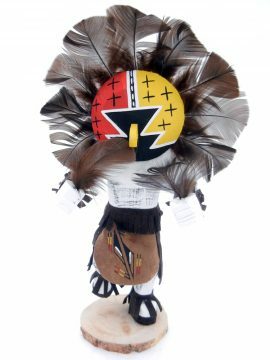 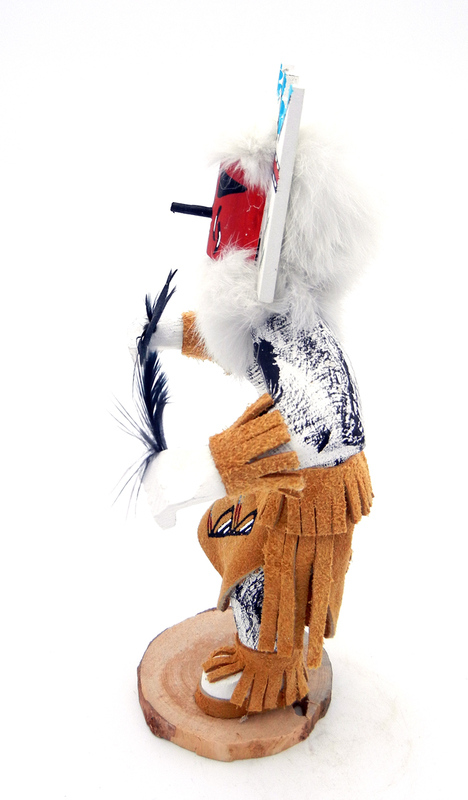 Differentiated from the traditional, all wood Hopi kachina by additions such as feathers and leather, the Navajo kachina offers a more playful take on the recognizable piece of Native American art. 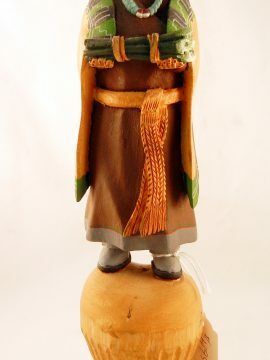 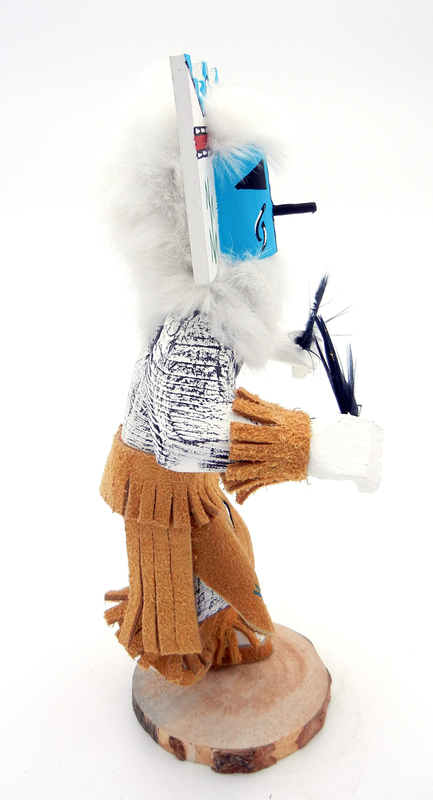 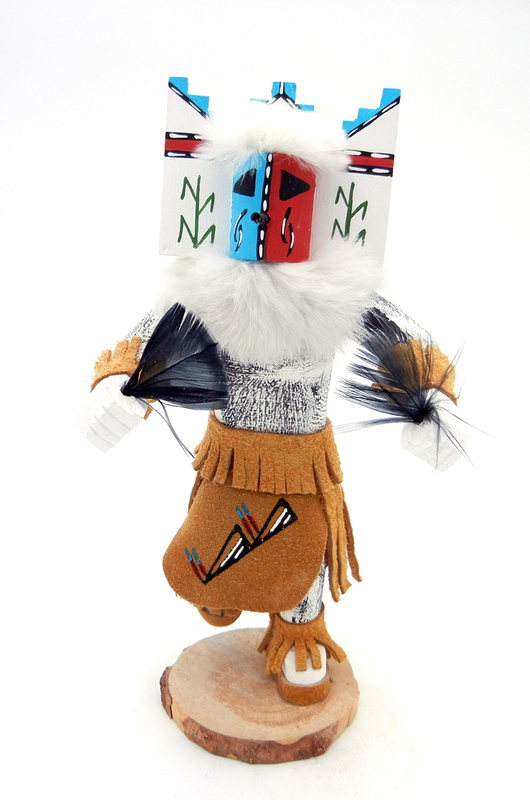 Navajo carver Harrison Jones created this corn dancer from cottonwood, attaching the kachina to a pine base. 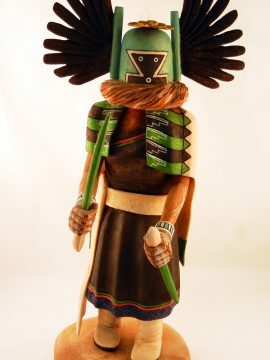 The piece features a white, red and blue painted face surrounded by a wooden tableta, painted in the same colors, along with two green corn stalks. 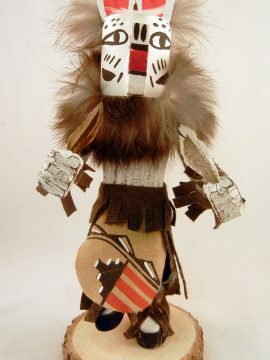 The remainder of the kachina’s body is white and black, and it holds black feathers in its hands, its neck is surrounded by white fur, and it is covered along the wrists and lower half with tan leather. 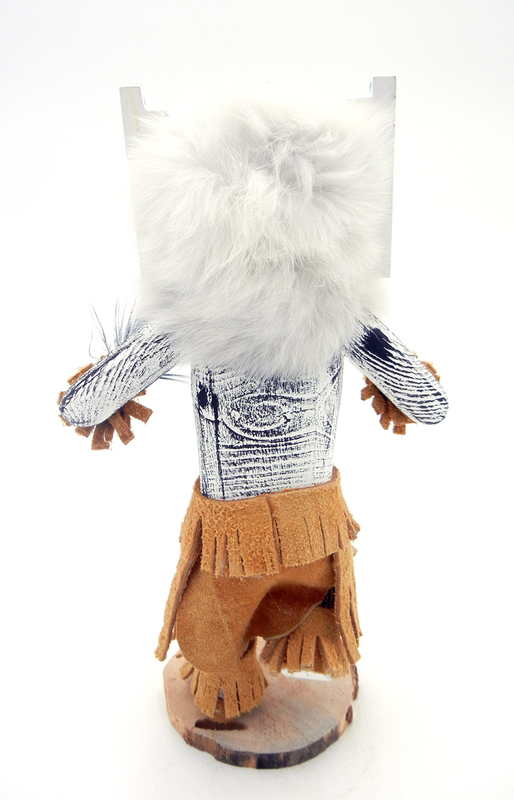 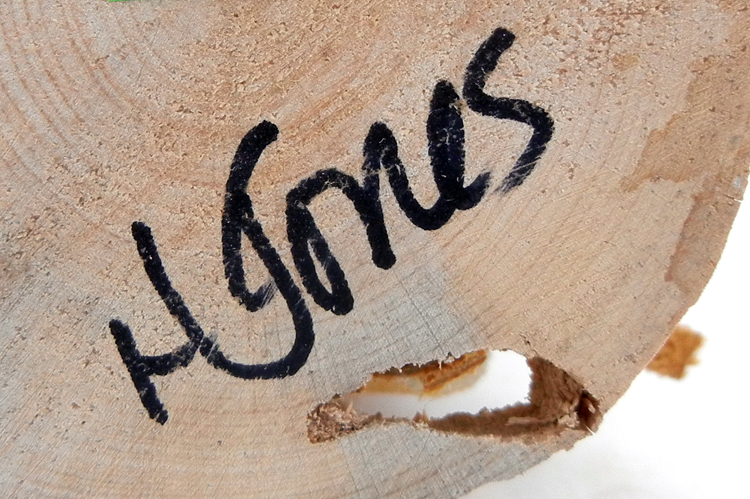 10″ tall x 5 5/8″ wide.